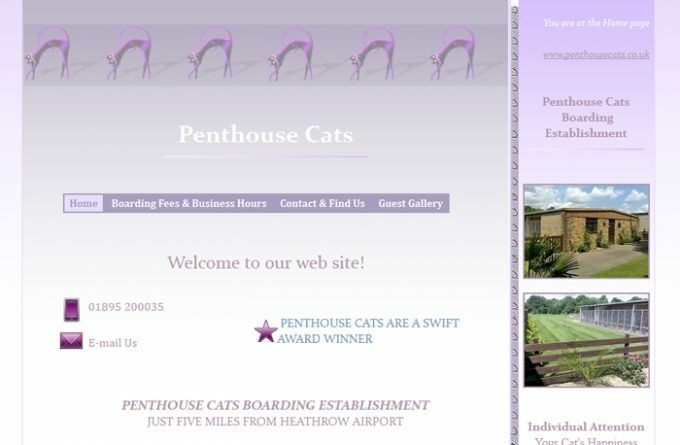 The family-run Penthouse Cats cattery is set within the Cowley lock conservation area on the outskirts of Uxbridge, easily reached from West Drayton or Hillingdon. The purpose-built cattery accommodation is of brick construction and well ventilated and filled with natural light. For more information about Penthouse Cats, you can visit them in person, visit their website, telephone or send them an email (if available) using the form below.